Unavailable until further notice due to dock damage from Hurricane Irma. We launch from our outpost at Village Creek Landing on St Simons Island to explore the extensive array of marsh creeks behind Sea Island. Some folks call this "The Promised Land". Discount for groups and children age 12 and under. Beautiful one way trip on the tide through the marshes with a short exploration of a remote nearby beach. One of our most popular trips! Discount for kids age 12 and under. 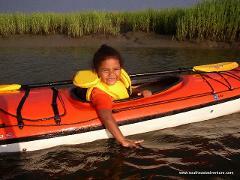 3 hours of beautiful marsh land and inlet kayaking, with a short stop on the Sea Island sand bar. One of our most popular trips! Discount for kids age 12 and under. 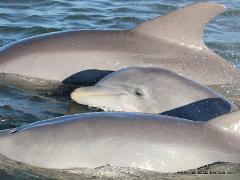 A comfortable, covered boating cruise exploring the waterways between Sea Island, St. Simons, and Little St. Simons. History and wildlife abound! 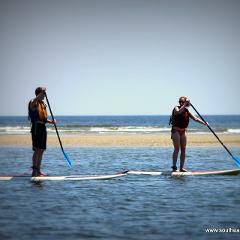 Learn the basics of Stand Up Paddleboarding with our experienced guides! Very beginner friendly. You will learn strokes, safety, and technique in an environment suited to build your independence and confidence on the board. 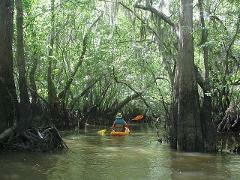 Enjoy this 3 hour tour through the creeks and hand-dug rice canals near historic Darien! Discount for kids age 12 and under. Try the hottest new paddleboards around! The Hobie Eclipse is pedal-driven and fun for all ages! You will learn the basics of safety and technique in an environment suited to build your independence and confidence on the board. Explore the beautiful low tide ecosystem between St Simons and Sea Island. Sand bars, marsh creeks and pristine beaches! Part of the Coastal Georgia Birding Trail. Great beach combing! Discount for kids age 12 and under.